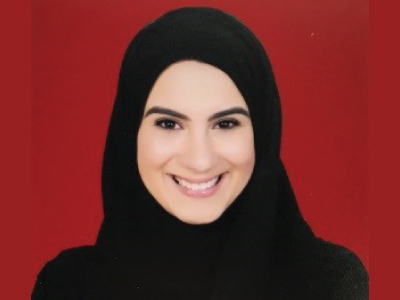 Maitha Al Marashi is the Vice President for Sustainability at Borouge, a leading provider of innovative plastics solutions based in the United Arab Emirates. In this role she delivers Sustainable Development, Social Responsibility and Advocacy for Borouge. Prior to her appointment as VP, Sustainability, Maitha was the CSR Advisor, where she was instrumental in developing and managing Borouge’s CSR strategy and roadmap that is in line with the overall Sustainability Framework, Policy and Strategy, and Borouge’s Corporate Strategy as well as supporting the strategic objectives of ADNOC and the UAE Government. During her time as a CSR Advisor, she also launched a number of global CSR initiatives. Prior to joining Borouge, Maitha was with Dubai Petroleum, Dubai’s National Oil Company for 10 years where her experience ranged from Health, Safety and Environment, Project Management, Human Resources, Operations, Production Performance and Reserves Evaluation. Maitha holds a Bachelors and a Masters in Engineering Honors Degree in Chemical Engineering and Environmental Technology from the University of Manchester, United Kingdom as well as a Master of Business Administration (MBA) from the American University in Dubai (AUD).